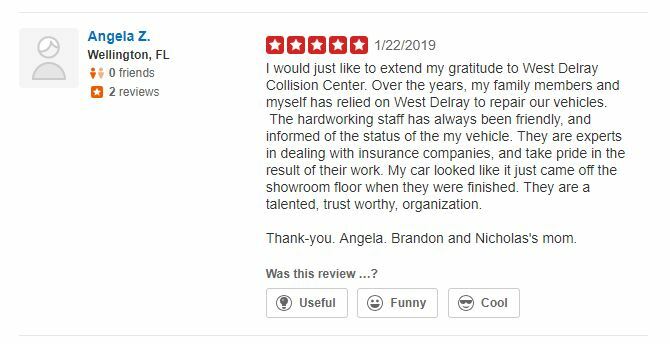 I would just like to extend my gratitude to West Delray Collision Center. 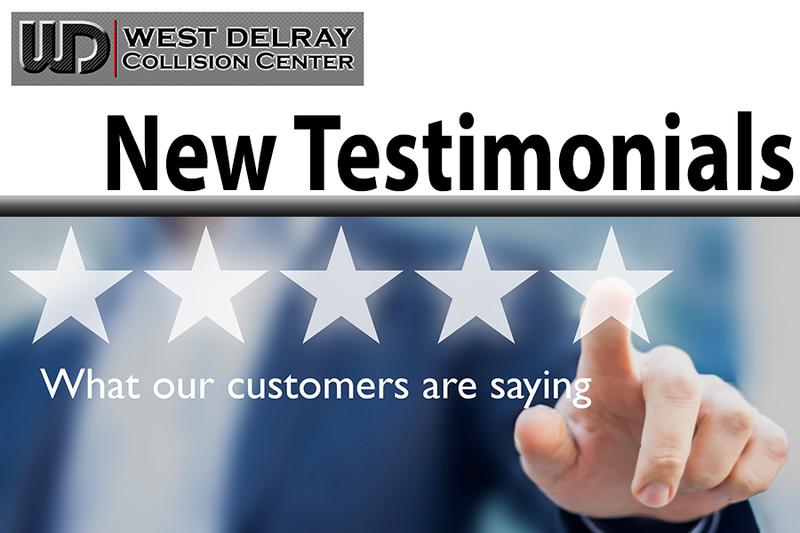 Over the years, my family members and myself has relied on West Delray to repair our vehicles. The hardworking staff has always been friendly, and informed of the status of the my vehicle. They are experts in dealing with insurance companies, and take pride in the result of their work. My car looked like it just came off the showroom floor when they were finished. They are a talented, trust worthy, organization. Thank-you. Angela. Brandon and Nicholas’s mom.